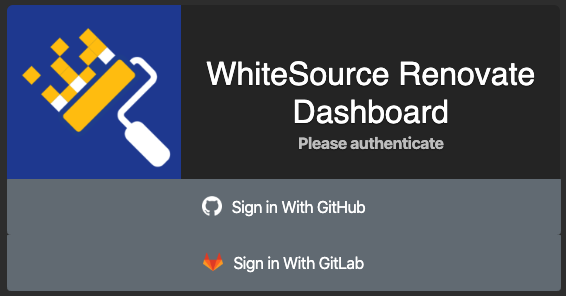 First, sign into the Dashboard using GitLab OAuth. The sidebar will load a list of any already-installed repositories that you have access to, if there are any. Now click the "Settings" icon at the top of the side bar and it will soon load a list of all GitLab.com repositories that you have admin rights to. If you have added @renovate-bot to a repository or team manually rather than through the Dashboard UI then you won't yet have a webhook. To add webhooks for all missing projects, simply log into the Dashboard and load the Install/Uninstall screen using the instructions above. Whenever that screen is loaded, the Dashboard client will check every installed project for webhooks and install Renovate's webhook if necessary. The Renovate App is currently free for all GitLab projects. Later, charging for private repositories will be added and probably at the same pricing tiers as the GitHub App. We will provide at least one month's notice before implementing paid plans for private repositories. Public repositories will remain free. The Renovate App does not need to store user OAuth2 tokens - all regular access to gitlab.com is done using the token of @renovate-bot. User tokens are passed with API calls to Renovate's backend to verify identity but never logged or cached. 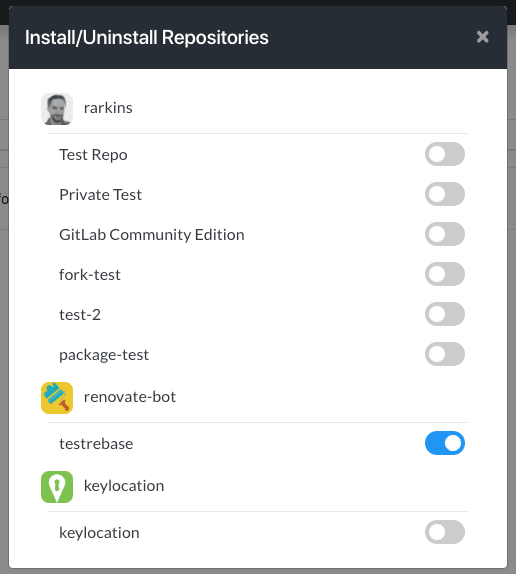 Unlike on GitHub, it is not possible to have the option to install Renovate on "all repositories now and in the future". To do this would require Renovate to store the user's token and this is not something we want to do. Currently there is no detection mechanism in the backend scheduler to determine when Renovate has been added to a new project, so the onboarding MR won't appear instantly. Instead, the new project should be picked up during hourly scheduled runs.